Why not decorate the church entrance with a beautiful archway of flowers? It will create a magical scene and provide a gorgeous backdrop for the photographs. Consider adorning the aisle with tall floral arrangements to make an even more enchanting walk down the aisle. 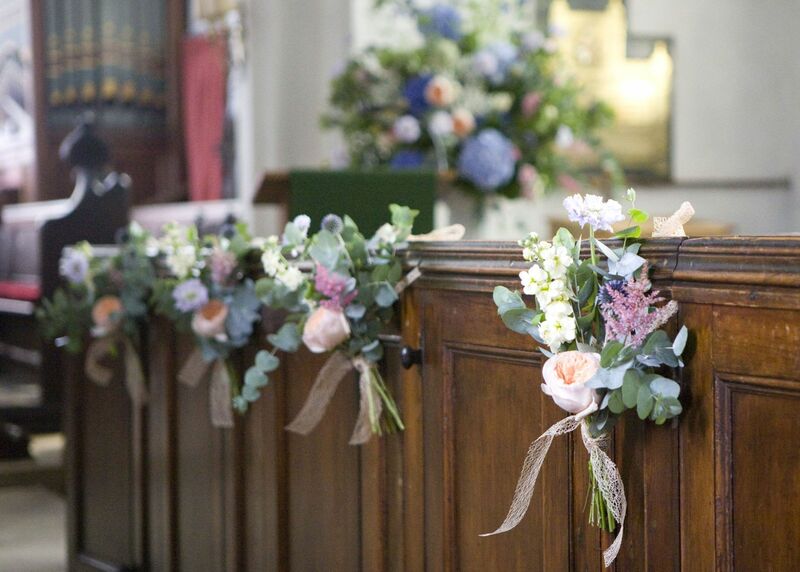 Wow your guests with stunning floral bouquets tied to the ends of each pew inside the church or the backs of chairs. It’s a simple step but highly effective, adding an elegant and softer appearance to the surroundings. For outdoor weddings, a floral arch is the perfect centrepiece for exchanging your vows underneath. It will provide an ideal focal point and look amazing in photos. Many couples overlook this part of the day as purely administrative, but some flowers draped over the table will turn a rather mundane moment into a picture-perfect opportunity with added elegance. The decorations that you choose for the table centres are the main focal point of the reception décor, so stand-out florals here will make the biggest impact. Consider the size carefully, as you don’t want to block views or make it difficult for guests to talk to one another. When it comes to fresh flowers for decoration, the opportunities are endless. Take a good look at your chosen venue and see if any unique features stand out that could be enhanced with a display of beautiful blooms. Distinctive ideas could include yours and your partner’s initials in large floral displays or a heart to hang over a special feature in the venue. For a Gloucestershire Hotel Wedding Venue, visit Hatton Court, a top Wedding Venue in Gloucester. The traditional cake cutting moment is one of the most significant of the day and it can be made even more spectacular with the addition of a few fresh blooms. 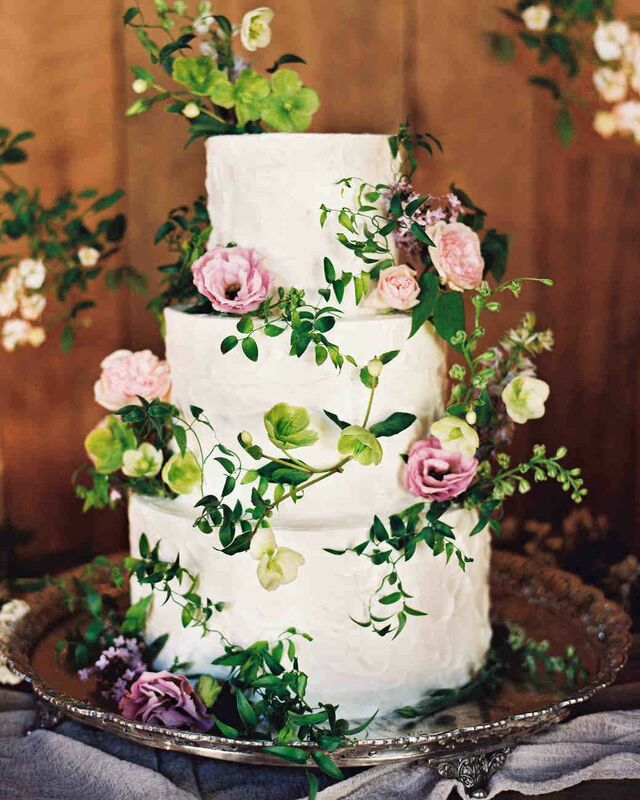 Whether you want a few small flowers atop the cake, or a cascade of fresh flowers draped over each tier, speak to your florist to see how they can accommodate your vision. A recent popular trend is to have a photobooth available for guests during the evening party. Why not install a bright, fun floral frame to capture those happy memories in a stylish and romantic way? You’ll make a serious statement if you opt to install a stunning flower wall. These make the ideal backdrop for photo opportunities with your guests, provide the setting for your cake display or make an eye-catching focal point for the gift table.